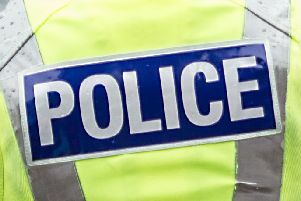 A female taxi driver was assaulted and robbed in Bellshill yesterday (Sunday). Around 4.25pm the 34-year-old victim was within her blue taxi on Burnside Avenue when she was approached by two men. They then punched, threatened her and made off with a three-figure sum of money. The woman did not require medical treatment. The first man is described as white, of slim build and under 6ft tall. He was wearing a red and blue bubble jacket with a hood pulled tight round his face and black tracksuit bottoms. The second man was white, of slim build, clean shaven, shorter than the first man and wearing a grey tracksuit with a silver logo on the breast, white trainers and a navy blue bobble hat. Detective Sergeant Gary Crossan, Wishaw CID, said: “This was a terrifying incident for a woman who was only going about her work. Our officers will do everything they can to trace the two men responsible. “We are appealing for anyone who was in the area who may have information that can help us. Do you remember seeing these two men?